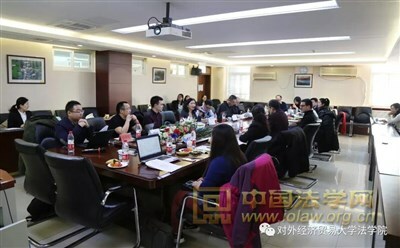 The Roundtable on “the Belt and Road Initiative: the Dialogue Between International Law and Administrative Law” was held University of International Business and Economics at in Beijing on January 2, 2019. 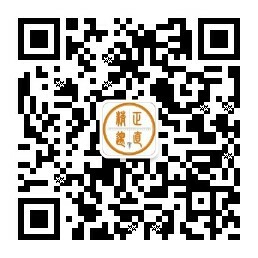 The seminar was sponsored by the China Law Society-University of International Business and Economics “Belt and Road Rule of Law Research Base”, organized by the Law School of the International Business and Economics, and attended by over 20 experts and scholars from University of Pennsylvania, Tsinghua University, CASS Institute of International Law, Beijing Foreign Studies University, Beijing Institute of Technology, and University of International Business and Economics. At the seminar, the participants carried out discussions on various issues around the topic of international law and administrative law under the Belt and Road Initiative. Two scholars from CASS Law Institute, Professor Liu Jingdong, Head of the International Economic Law Department, and Professor Liao Fan, Head of the Department of Research Coordination and International Cooperation, each gave a speech at the roundtable, in which they discussed the traditional connotations of the rule of law and administrative law and their new development under the Belt and Road Initiatives, especially the challenges posed by the rule of law idea embodied in by the Belt and Road Initiatives to the countries along the Belt and Road.